CXXVI, 521 p., 15,7 x 21,0 cm. This anthology contains several small treatises of Weigel. In two metaphysical dissertations of 1652 he develops a non-essentialist concept of existence which is understood as affection of any true being and which is determined by the modes of duration and of space. 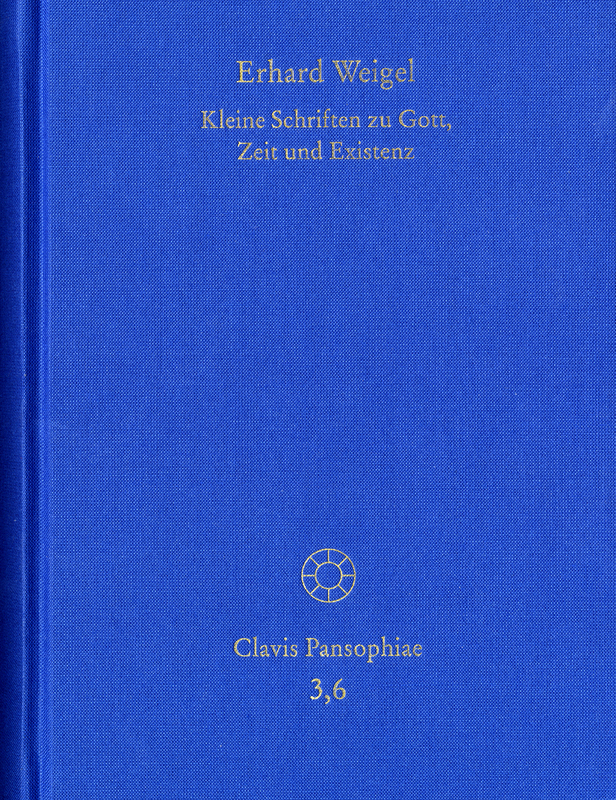 Weigel finally identifies duration and existence; and in his treatises on pansophic physics and philosophy of body he bases a »mathematic proof« of divine existence on it. Weigel’s proof of divine existence derives from the experience of permanent temporal flux and deduces the existence of a permanent being exempt from that change which recreates the world from nothing and keeps it up in any instance (creatio continuata). It is well known that this proof aroused the interest of Leibniz whose philosophic correspondence of the seventies refers to some of the small treatises edited here like the ›Theodixis Pythagorica‹ of 1675.